When making Taste Tests on a regular basis it can sometimes be a good idea to test out a classic. No limited editions, not new on the market. Just a product that’s been around forever, should it still be around and is it any good? Let’s find out in the Baby Ruth Taste Test. The Baby Ruth Taste Test is the test of a classic chocolate bar. 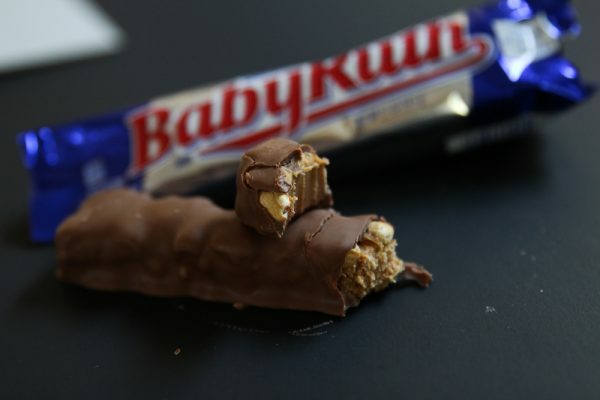 Baby Ruth is a chocolate bar made by peanuts, caramel, chocolate and chocolate flavored nougat. 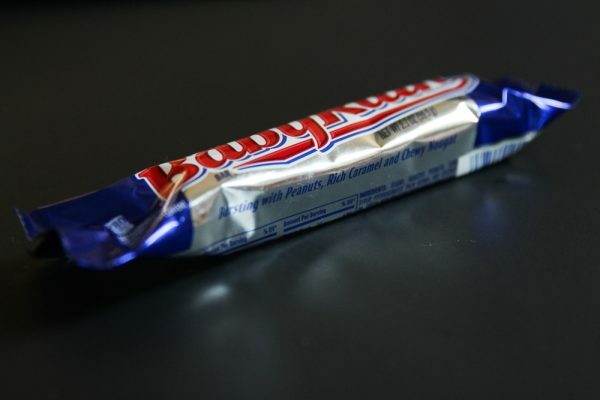 I’ll start eating in a second but first a brief history of the Baby Ruth bar. 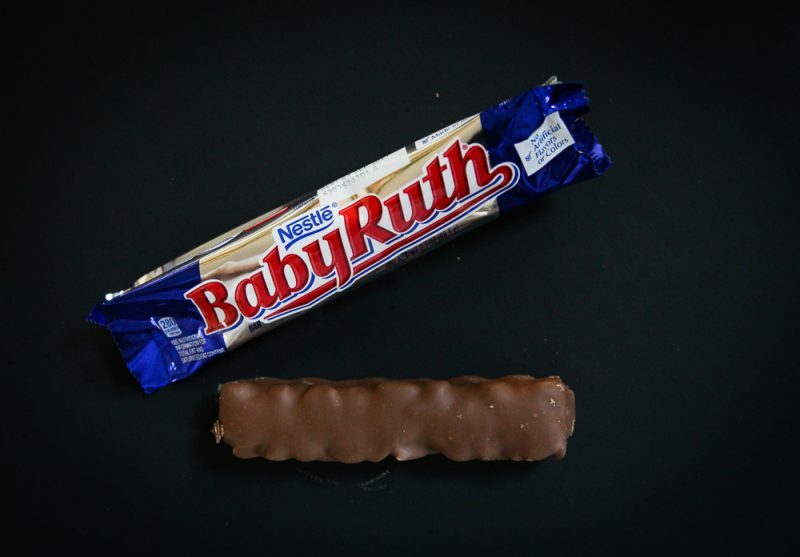 Baby Ruth was first launched in 1921. 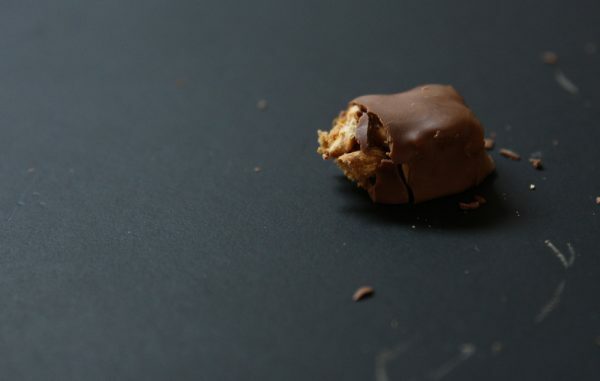 The recipe was invented earlier, there was an identical bar called Kandy Kake, in 1921 the Curtiss Candy Company renamed the bar to Baby Ruth. Curtiss Candy Company is not around anymore. In 1981 they were bought by Nabisco and they later sold the brand to Nestlé along with other brands that originated from Curtiss Candy Company. The bar is believed to be named after the baseball player Babe Ruth. The only difference in the name is the switch from an E to a Y in Babe. Curtiss Candy Company claimed that the bar was not named after the baseball legend but instead after Ruth Cleveland. The daughter of President Grover Cleveland. So baseballer Babe Ruth got nothing out of the fact that the bar was obviously named after him. Most believe that claiming to have named the bar after Ruth Cleveland was just a way of avoiding to pay Babe Ruth. Now let’s eat. The packaging is a standard chocolate bar wrapping. The colors are blue on the edges and silver in the middle. On top of this base color is the Baby Ruth logo in red with a bit of white and blue. It is nothing out of the ordinary but I have to say I like it. It looks classic and good. The flavor and texture are great. 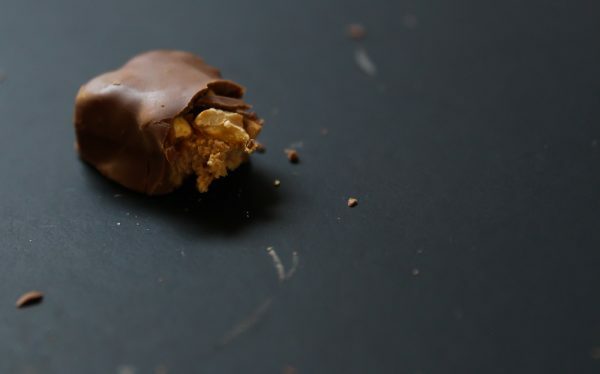 Whole peanuts, a delicious and creamy nougat and plenty of chocolate. Flavorwise this is not far from a Snickers bar but I would say that the Baby Ruth is softer and sweeter. That is the only thing I don’t like, it is a bit too sweet. With darker chocolate or maybe a bit less caramel it could be even better. All in all a delicious bar that deserves its place on the candy shelf. Not much to complain about. A fun backstory, peanuts, caramel, chocolate, decent packaging design. 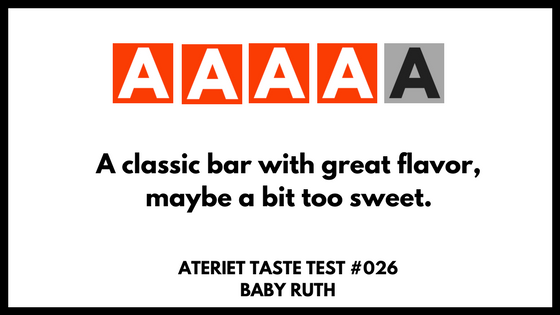 The only bad things about it that it’s a bit on the sweet side and there are a few similar bars out there, but that’s not the fault of Baby Ruth is it? As a grade, I’m giving it a 4 out of 5. What I can’t understand is why Nestlé isn’t making more Baby Ruth products, this could be a goldmine if you would expand this brand with other products. Taste Test at Ateriet is what it sounds like. We test food and drinks from all over the world and rate each product. The result is a grade that rates from 1-5 where 1 is bad and 5 are outstanding. This is also the only category at Ateriet where we might write down a product or brand. For any taste suggestions, opinions or if you have a product you want us to test contact us via email. For all Taste Tests check out the full coverage here.